There were 720 press releases posted in the last 24 hours and 153,592 in the last 365 days. Over 40 Million Monthly Users Nominated Best Home Building, Remodeling and Design Professionals in North America and Around the World and Ipe Woods USA won. 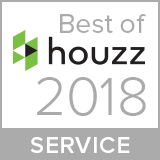 HOUSTON, TX, UNITED STATES, January 18, 2018 /EINPresswire.com/ -- Houston, Texas, January 17, 2018 – Ipe Woods USA has won “Best Of Customer Service” on Houzz®, the leading platform for home remodeling and design. The new ipe decking supplier was chosen by the more than 40 million monthly unique users that comprise the Houzz community from among more than one million active home building, remodeling and design industry professionals. "We work every day to ensure our customer service is the best in our industry and we are honored to be recognized for the hard work," said Steven Rossi, President of Ipe Woods USA. Follow Ipe Woods USA on Houzz. 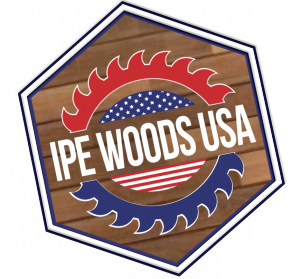 Ipe Woods USA is one of the leading suppliers of Ipe wood for decking, siding, flooring, and fencing in the United States. Supplying from coast to coast and across the world and delivering straight to job sites, also offering over 200 locations for pick-up upon request. Bringing the lowest prices on Ipe and the highest quality of Ipe direct to customers. Ipe wood is milled differently, installed differently and worked with differently than most other woods. Working with Ipe Woods USA ensures you have experts to consult with during your project(s). For more information visit their website at ipewoods.com.